soon as you get even just one part to work. 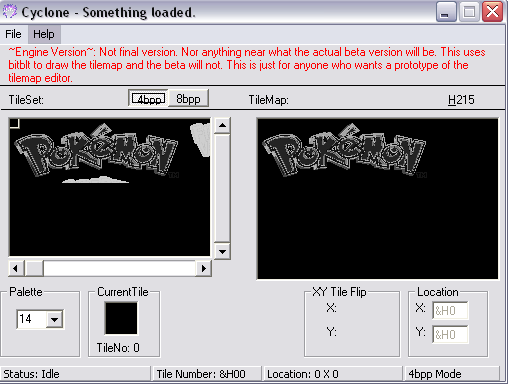 We'll begin with ripping the needed files from the rom with unlz.gba. When taking them from the rom, make sure the images are saved as a .gif. I did add the flames, although I'm just going to remove them with my example title screen. We will start by changing the Pokemon. But first I'll need to index it and make sure all the tiles will fit into the Cyclone writing style. So I'll end up with this. 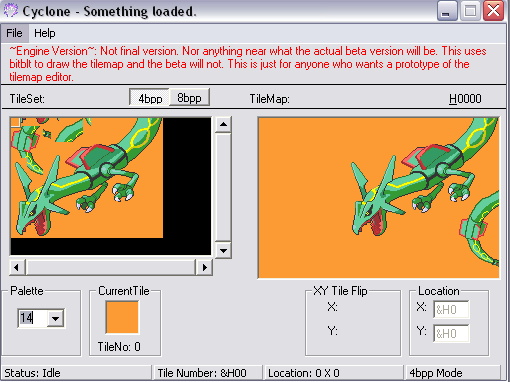 You'll see I've added a tail to the image, I took the tail from the Rayquaza in Pokemon Pinball. 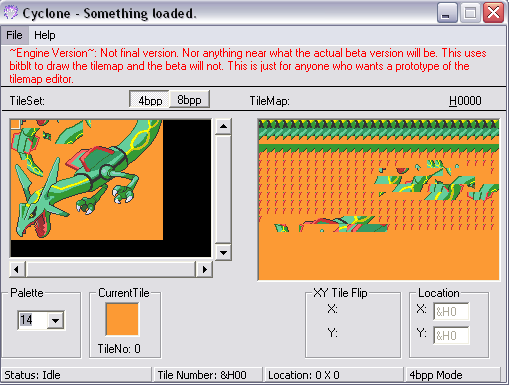 Now we insert those files into the rom, and palette edit it. The file will be too big, you will need to repoint it to new space. You can test it to see if it worked out, but I'm too lazy and I'm just going to show the final product. Now I re-order my tilemap to this. 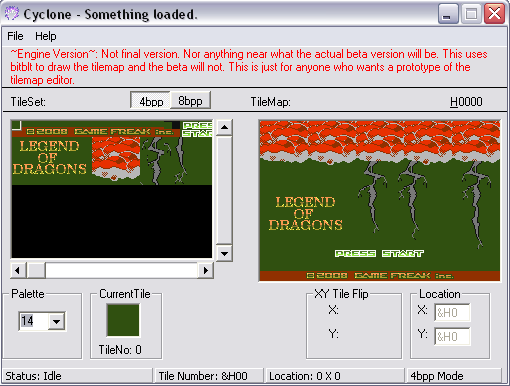 Insert those two files to the rom, palette edit, and I'm almost done. All that's left is the Pokemon logo. I'm not even going to change the image here. Here's the tilemap I made. 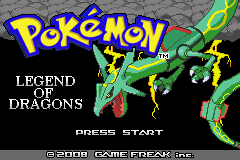 All I did is remove the 'Fire Red' text, as I added the 'Legend of Dragons' text in my gamefreak image. just simply overwriting the image with a blank image. Now that that is done, here's my finished screen fully palette edited and changed. Don't ask for palette offsets. Find them yourself because I'll ignore those posts. Looks awesome, but you might want to try changing the background to a landscape instead of leaving it blank.